GORGEOUS MOVE IN READY MODEL HOME CLOSE TO IT ALL! Relax in this perfect 2 bedroom corner lot home next to the pool, featuring 2.5 baths, a spacious open floor plan with kitchen, dining room, and family room on main floor with balcony overlooking the community pool. The kitchen has maple cabinets, Corian counter-tops, and stainless steel appliances. Throughout the home there is upgraded two-tone paint, upgraded flooring, and cultured marble bath tops. Park in an attached 2 car garage. 1 minute to the 202 and 2 minutes to the 101 freeway, and 3 minutes to Chandler Fashion Square, Chandler Regional Hospital, shopping, grocery, and more. 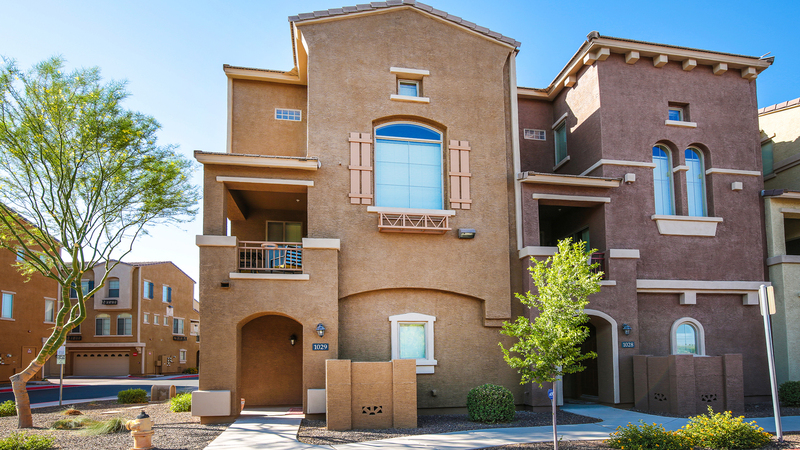 This is a wonderful opportunity for a great Chandler townhouse.